How much did the bananas cost in the supermarket around the corner last time you were there? Are the fresh apples from the market cheaper than the organic apples from the store? Is gas at this gas station more expensive than last time at my favorite gas station? How much did I pay for lunch at the Italian restaurant last month? And did I enjoy it? Price Check has the answers for you! 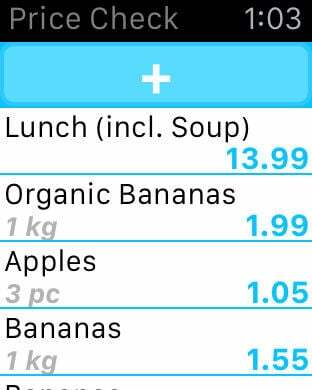 The app helps you to keep track of prices in your everyday life. Shopping, dining, leisure, ... everything with a price tag. It's very easy and fast to enter the price or look up your saved items. Price Check remembers all the prices for you even after a month. So you don't have to. Do you like to buy the best stuff? With Price Check you can rate the items and remember how you liked them. So even one month later you know where your lunch was best and which market has the bananas you like best. 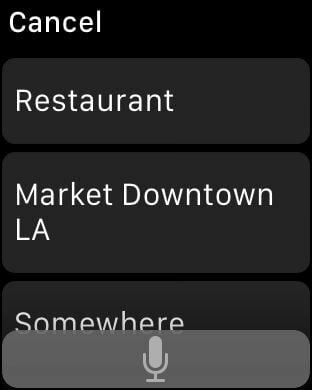 And to save you even more time you can talk to the App. Price Check understands you*. 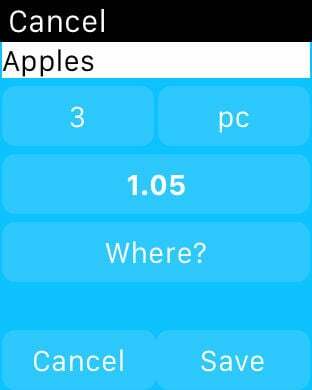 After pressing the voice recognition button simply say something like "Bananas 1 Kilo 1 Dollar 45 in the supermarket around the corner" and hit "Next" and "Done". It's done. The price entry is immediately available for your price comparison. Try Price Check now for FREE. *Price Check uses the voice recognition of your device. Only available if your device supports it.